The ferry service has been around since the 1800s when companies would only take paying customers from one side to the other. 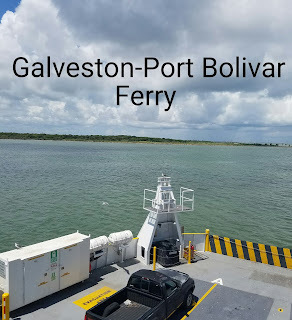 The state of Texas purchased two ferries from a privately owned company and has been operating the current ferry system since 1934. Originally there was a .25 cent fee to ride the ferry, but this only lasted until 1949 and the service has been free every since. 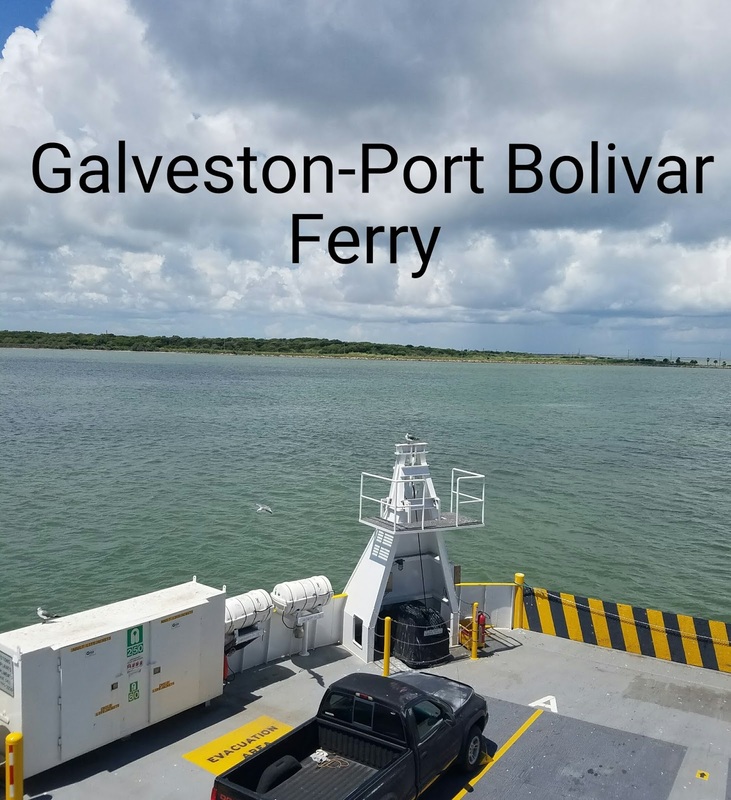 The Galveston-Port Bolivar ferry (SH 87) is the only way motorists can cross the waterway between the Bolivar Peninsula and Galveston Island since there is no bridge. 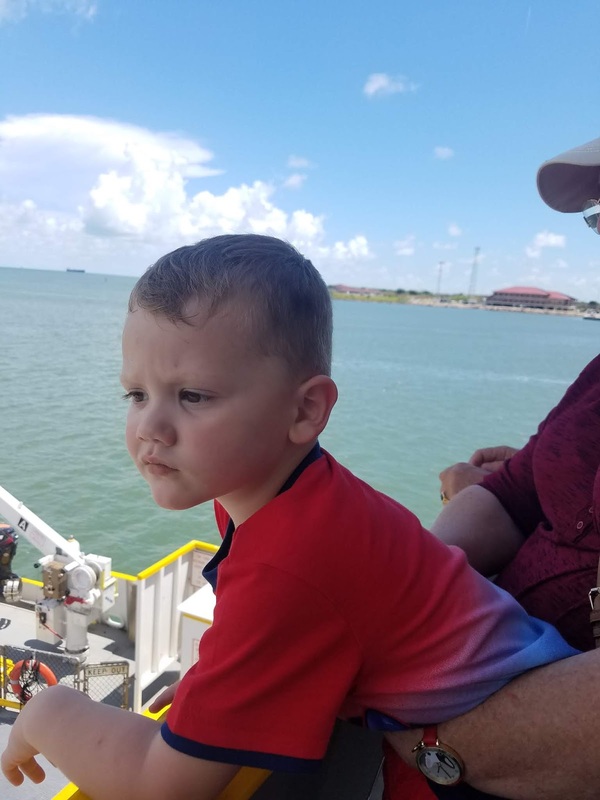 This 2.7 mile trip takes about 18-20 minutes and crosses one of the busiest waterways in the world. You will see evidence of just how busy it is when you take a trip on the ferry and see all the ships coming and going. 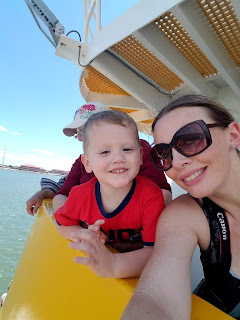 There are two ways to ride the ferry. You can drive on or walk on. If you drive onto the ferry keep in mind that you will have to get off at the other side and get back in line for your return trip. Depending on the time of day and the time of year there could be a wait at either side. If you decide to walk onto the ferry you will be allowed to stay on the vessel for the whole roundtrip. I've done both and in my opinion walking on is so much easier and takes a little less than an hour for the whole trip. -Be prepared to be bombarded by seagulls if you bring food to feed them. It may start with a few but before you know it you are swarmed by them....and yes you might get pooped on!